Australia’s competition regulator said on Monday the Port of Newcastle must reduce its charges for ships entering the port to carry coal for Glencore , in a big win for the global miner. The Australian Competition and Consumer Commission said Port of Newcastle Operations Pty Ltd (PNO) should cut its current rate by about 20 percent to A$0.61 per gross tonne, backdated to 2016. The port said it would contest the decision. “PNO proposed large increases to the current price, but the ACCC found that a reduction in the price for using the shipping channel was appropriate,” ACCC Commissioner Cristina Cifuentes said in a statement. In the course of the arbitration, Newcastle port told the ACCC that the charge for coal ships entering the port should be increased to $1.36 per tonne for this year. Glencore submitted the charge should be reduced to $0.41 per tonne. The port said it was disappointed by the decision. 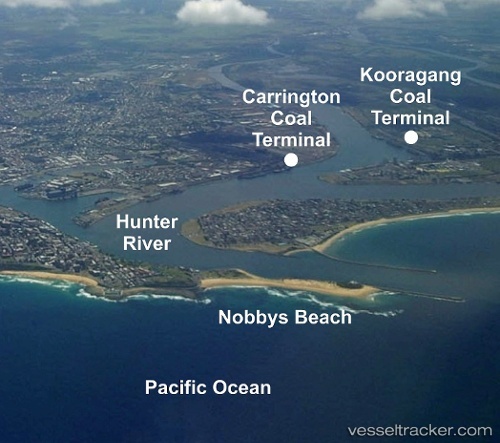 Port Waratah Coal Services’ two terminals at Newcastle port in eastern Australia had nine ships waiting offshore Sunday, compared with three a week ago, the Hunter Valley Coal Chain Coordinator said in its weekly report, Monday. The queue was expected to comprise six ships at the end of the month, HVCCC said. A total of 1.76 million mt of coal was shipped out of the PWCS terminals in the week ended Sunday, down 662,700 mt from a week earlier. Month-to-date exports totaled 1.23 million mt, according to the report. Coal producers had forecast August arrivals at the terminals at 9.7 million mt, and for September at 10.7 million mt, said the report. Meanwhile, coal throughput on Newcastle port’s railway last week was 2 million mt, HVCCC said. Around 241,300 mt of coal was shipped through the NCIG terminal at Newcastle last week, S&P Global Platts data showed.